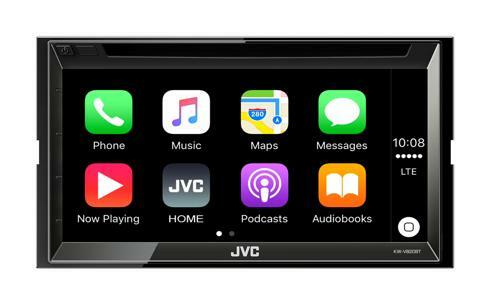 KW-V820BT Works with Apple CarPlay • JVC U.K.
CarPlay takes the things you want to do with your iPhone and puts them on the big screen. 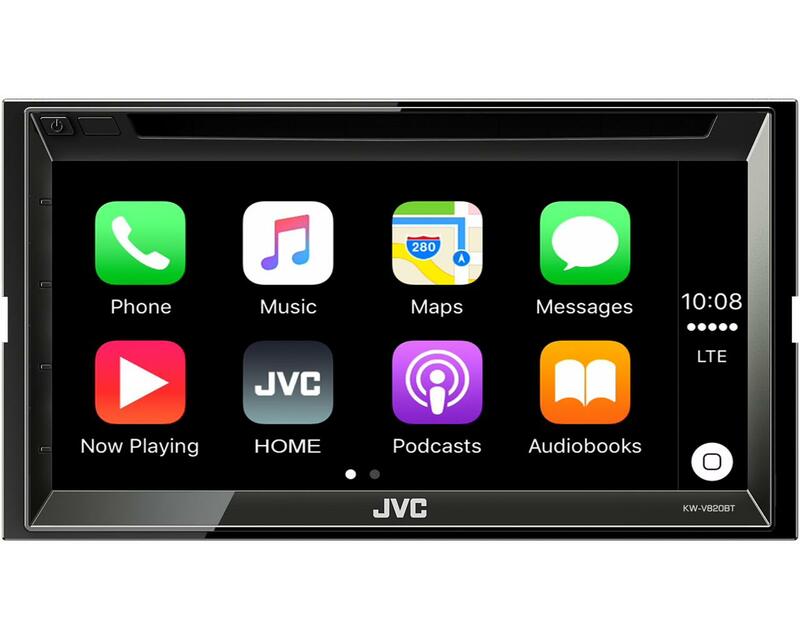 Simply talk to Siri or touch the KW-V820BT's display and get directions from Apple Maps, make phone calls, listen to voicemails, send and receive texts, listen to music and use additional apps like Spotify and Sound Cloud all in a way that allows you to stay focused on the road. 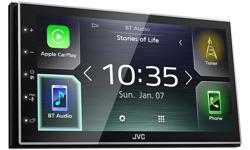 *1 Available functions depend on cell phone. Wideband Audio depends on mobile device and cell phone carrier.